baby meets city: friday finds: "my pregnancy, a woman's story"
friday finds: "my pregnancy, a woman's story"
I set this up to go live yesterday (I'm currently out of town for the weekend -- sans Husband! and children!) but it didn't work... so here's my belated Friday find... enjoy! I had the pleasure of meeting world-renowned photographer Anne Geddes last weekend. 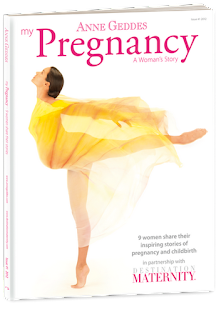 Anne, in partnership with Destination Maternity, has produced a gorgeous magazine called "My Pregnancy, A Woman's Story." The pages are filled with photos and stories of women during their pregnancies, and each story is unique and inspiring in it's own way (one in particular left me in tears... on the subway, no less). The photos, well, they're simply gorgeous. There were moments during both of my pregnancies where I felt beautiful, but more often than not, I felt somewhere between cow and even bigger cow-like. So to document women during this truly joyful time in their lives, to make them feel beautiful, must have been such a wonderful moment for all of them. Anne has plans for 2 more issues this year. 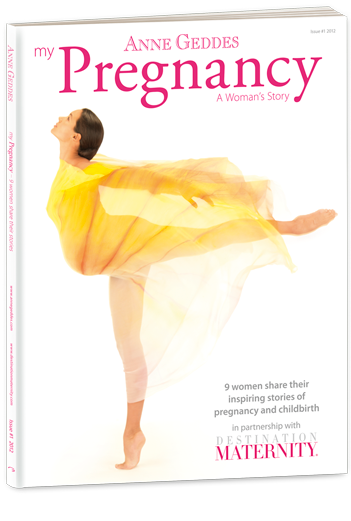 I think "My Pregnancy, A Woman's Story" would make the perfect add on to a baby shower gift. 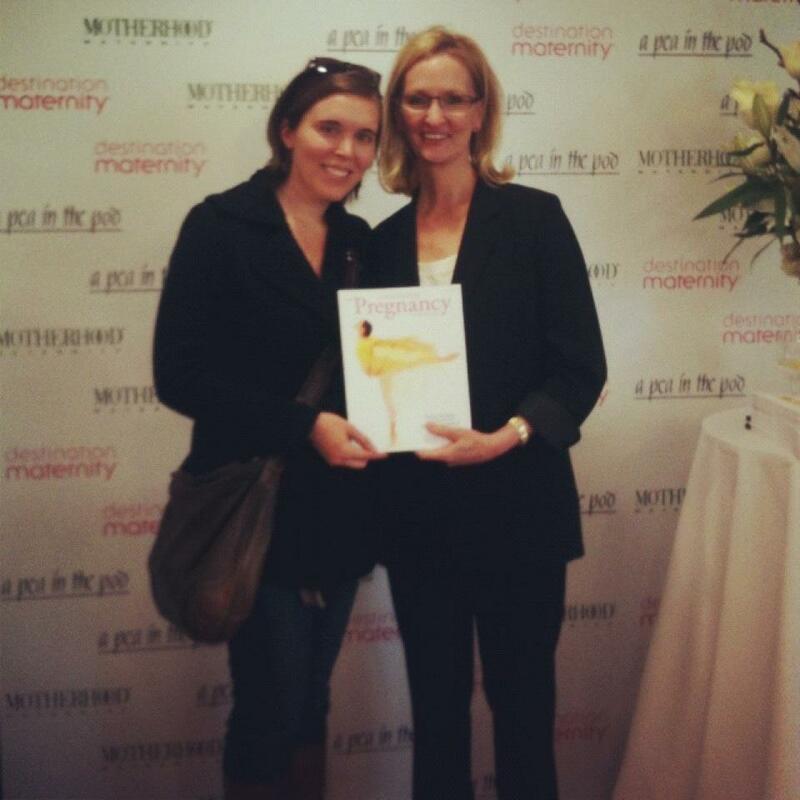 The magazine is available at Destination Maternity, A Pea in the Pod and Motherhood locations in the US and Canada. 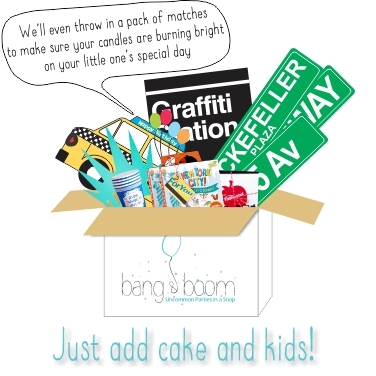 -- Try and get on your child's level when taking photos. See the world from their perspective and it will show through in your photos. -- Keep your camera out! You never know when there will be an opportunity for a photo, and you'll want your camera handy. She mentioned how camera phones are great for capturing a quick moment. 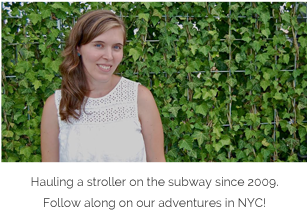 -- My favorite piece of advice: get in the photo WITH your child! You will look back one day and wish you were in more photos, and your now grown child will have a great time teasing you about your outfit or hair style. Ha! This one really hit home with me, and I'm going to start putting myself in front of the camera with my sweeties a little more. How awesome, I would love to meet Anne Geddes! I've admired her for so long.